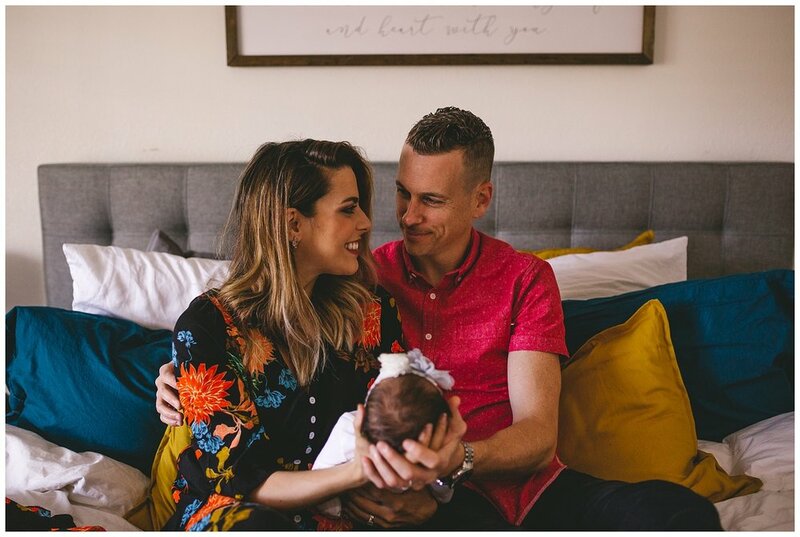 We did an in-home, lifestyle newborn session for baby Mia and her parents. As soon as I walked into their home, I felt at peace. 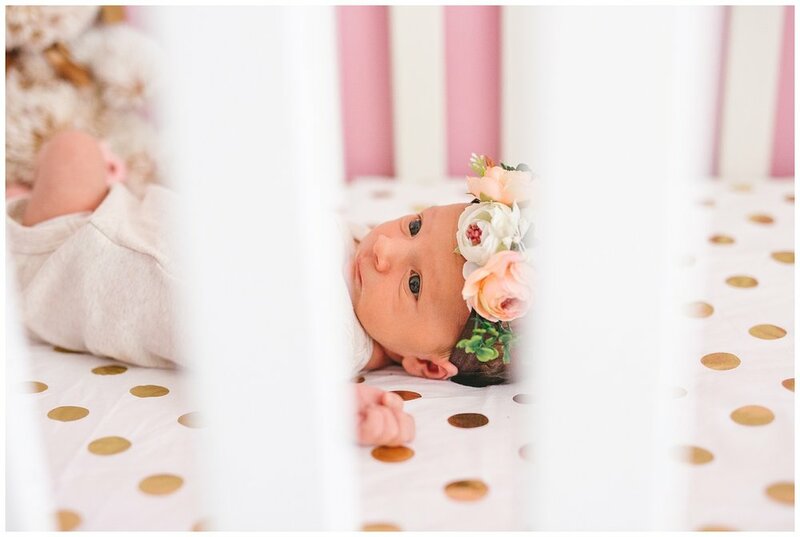 Kristin has created a tranquil home, and they are already settled in as a family of three. Mia is adorable and loved the camera. 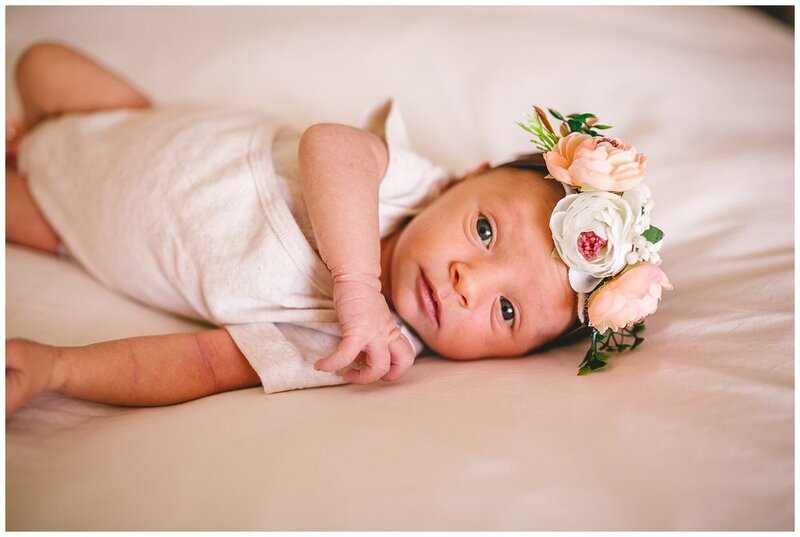 Usually newborns sleep all the way through their first photo shoots, but this girl showed off her bright blue eyes, sweet facial expressions, and tiny toes. 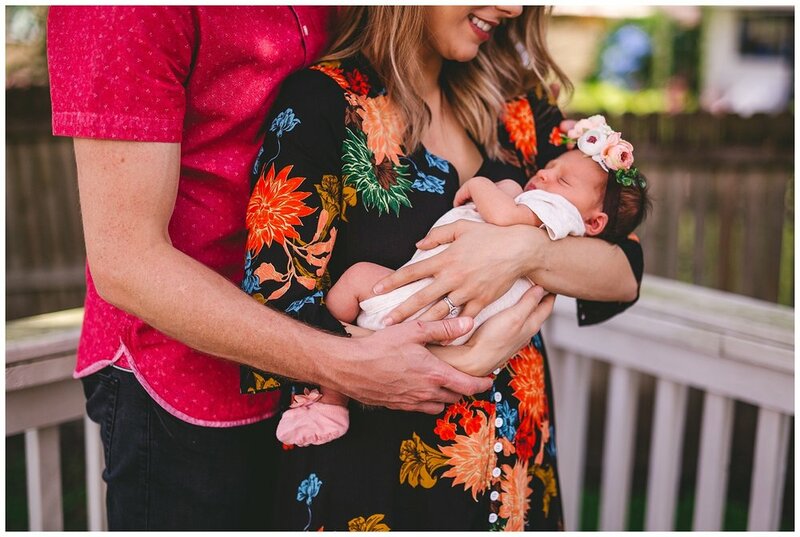 Her parents are so used to the cameras by now, so it is no wonder that she did so well! 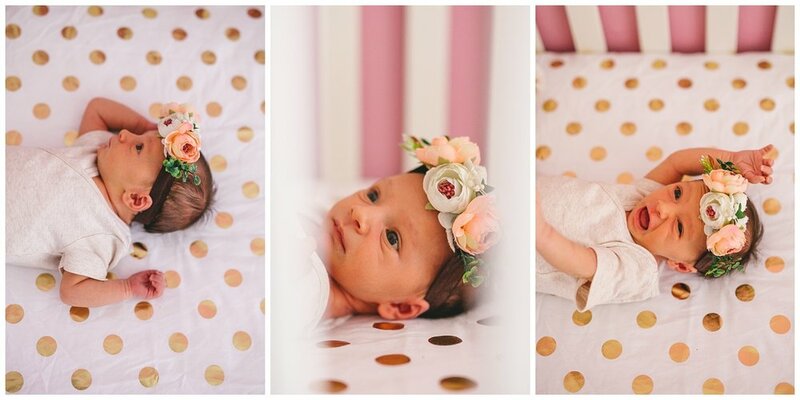 This shoot was extra special because both grandmothers were able to attend! 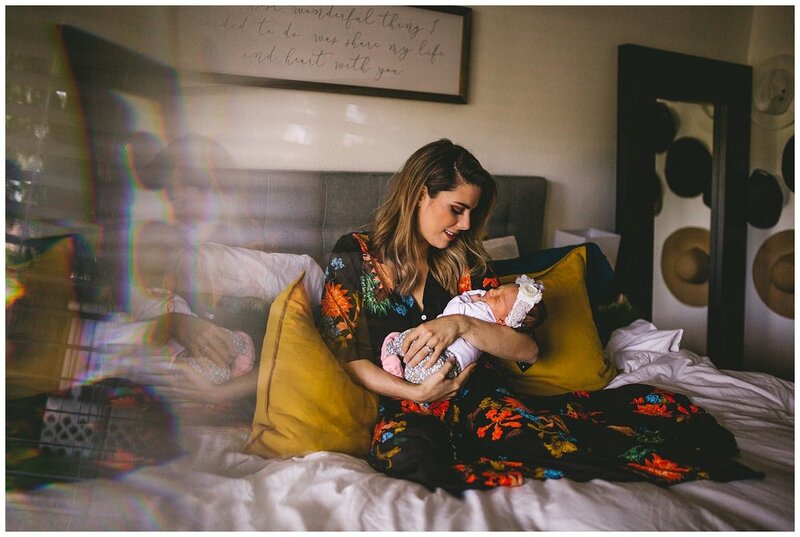 I know how meaningful photos like this are, and I’m so glad that they will both have pictures holding their brand-new grandbaby. 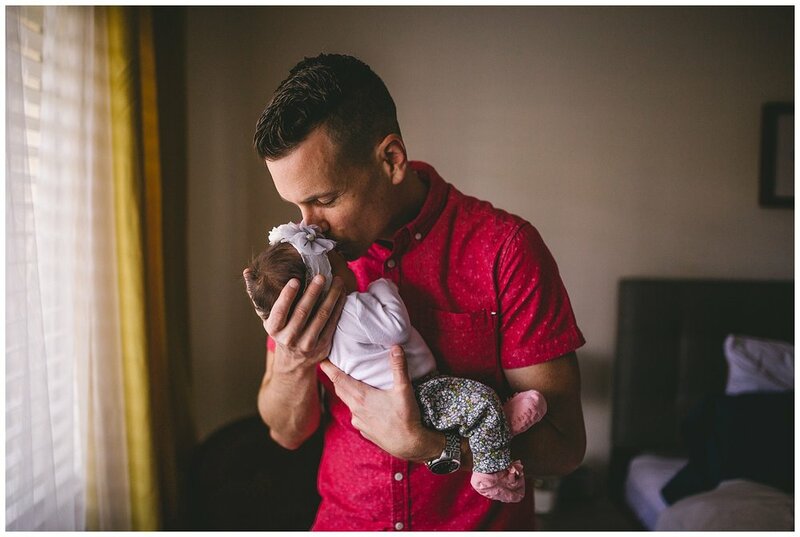 As usual, I loved spending the morning with Mia and her parents. After several photo shoots, I feel like we’re becoming family, and it was such a pleasure to meet the grandmothers as well. 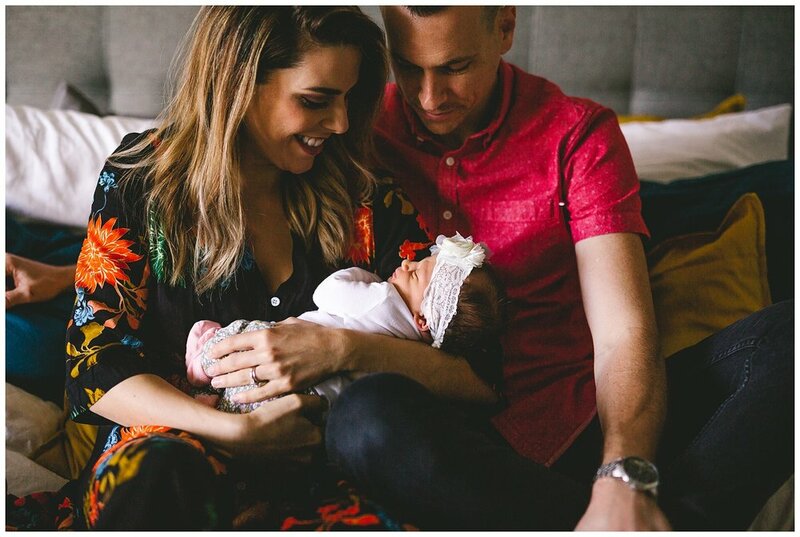 As their adventure continues, I can't wait to watch sweet Mia grow! 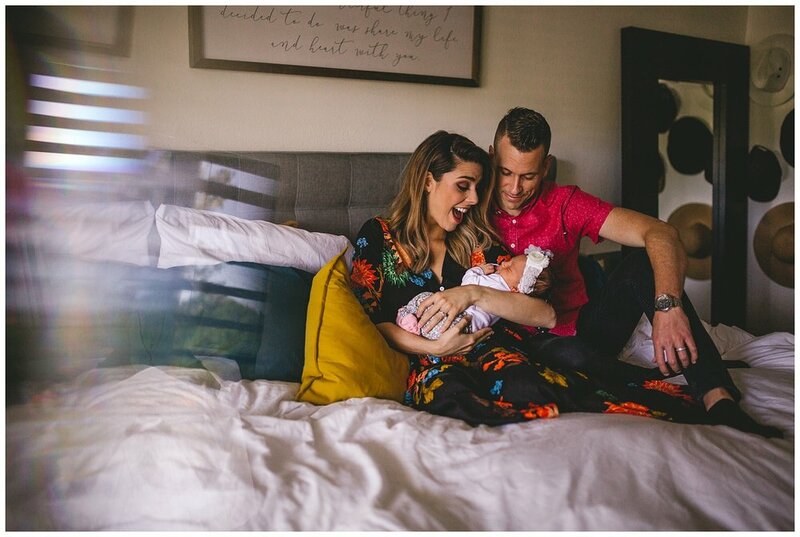 Kristin and Garrett are already the best parents ever; there’s no doubt in my mind that she will be surrounded by warmth and love all the days of her life. Welcome to the world, little one!